This Media Release discussing Cladding Assistance for WA apartment owners has been provided by Strata Community Association WA. The peak body for WA’s $100 billion strata sector has asked the State Government to stand behind flammable cladding affected apartment owners and make special assistance available in the next State Budget. They say without financial backing, the owners of the buildings hit hardest by unsafe flammable cladding will struggle to afford the removal of the materials that could risk their lives. 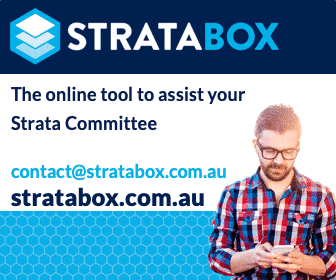 And crucially, without funding, strata leaders believe owners may be forced to consider joining class actions, which could keep them in the courts for years. Approximately 10 residential buildings have already been identified as having combustible cladding and have been referred to local authorities by Building and Energy to order that the owners undertake a full fire engineering assessment. Around 100 more buildings are yet to be cleared and fully assessed. Strata industry leaders say the cladding fire at Melbourne’s Neo200 building recently, which saw 150 owners evacuated, shows the importance of cladding affected buildings in Western Australia being made safe as soon as possible. Strata Community Association WA is the peak industry body representing over 300,000 strata owners state-wide and President Scott Bellerby says the financial strain of flammable cladding deserves more State Government attention, or else owners will turn to class actions. “The State Government has done a terrific job to swiftly identify the buildings possessing unsafe cladding but all that will be for naught if owners cannot afford to make their buildings safe,” Mr Bellerby said today. It is likely that the issue in WA will be on a far smaller scale than what is being experienced on the east coast. However, for those owners who are affected, financial assistance is likely to be needed. Mr Bellerby says owners with no other option are being tempted by the prospect of major class actions which could keep them in the courts for several years and has implored the State Government to spare them that fate. Mr Bellerby says there is enough time between now and May to work out the appropriate assistance package that works for both Government and affected owners and has encouraged decision makers to answer the call. This post appears in Strata News #229.